★★★★ The three lovers of Pre-Raphaelite painter, Dante Gabriel Rossetti are portrayed with an exquisite touch by Julia Munrow. Edinburgh Reporter. and is now appearing in the award-winning ‘Champagne, Intimacy, Alan”. 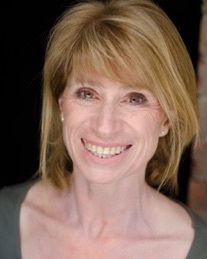 Julia Munrow is the Artistic Director of A Drunken Sailor: Playback Impro - which performs regularly at London, Brighton and Edinburgh festivals.